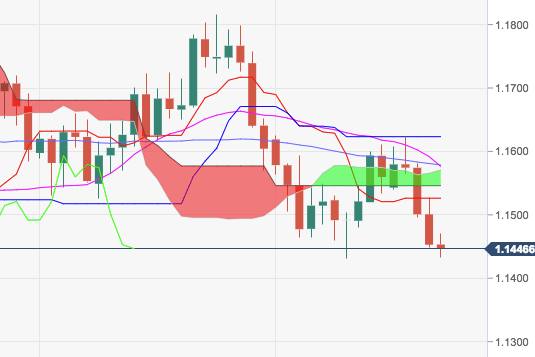 EUR/USD continues to grind lower this week, accelerating the downside to the mid-1.1400s after break below the critical support at 1.1500 the figure . Immediate contention should emerge at October’s low at 1.1430 ahead of the 200-week SMA, today at 1.1322. The continuation of the down move is expected to meet the so far 2018 low at 1.1299 (August 15).